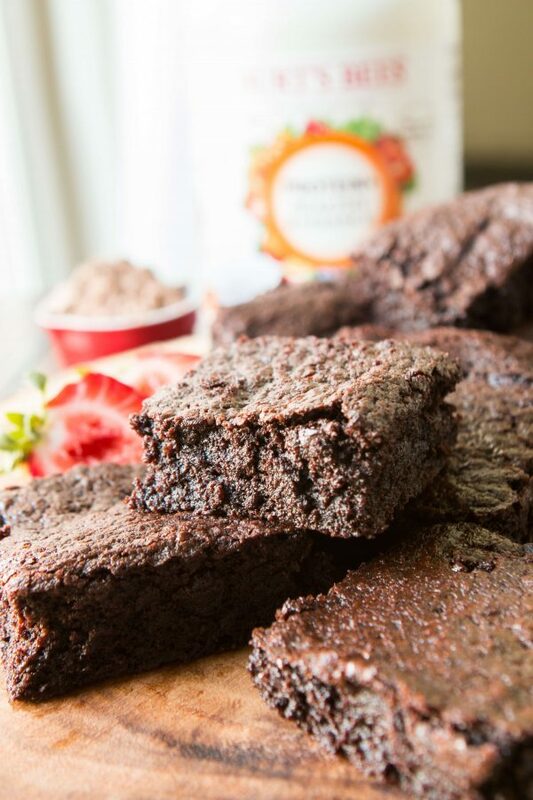 Protein fudge brownies? 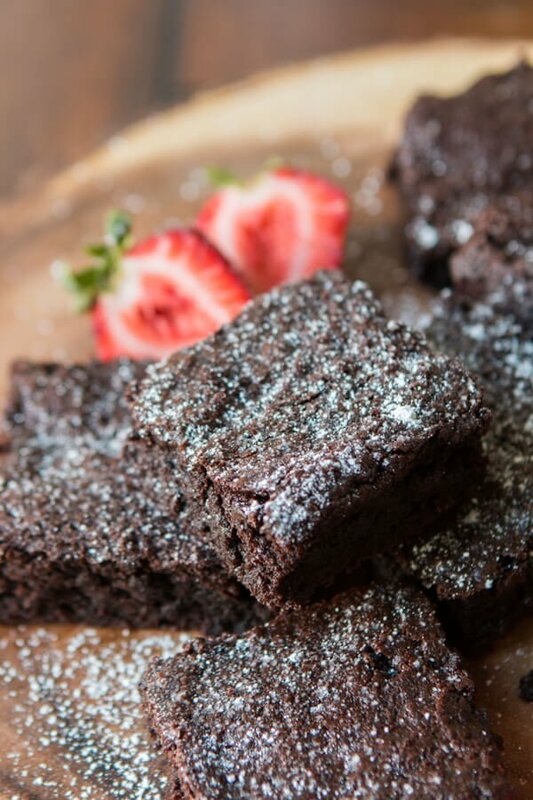 Protein powder, coconut oil, and less flour can make healthier, delicious brownies with more nutrition! 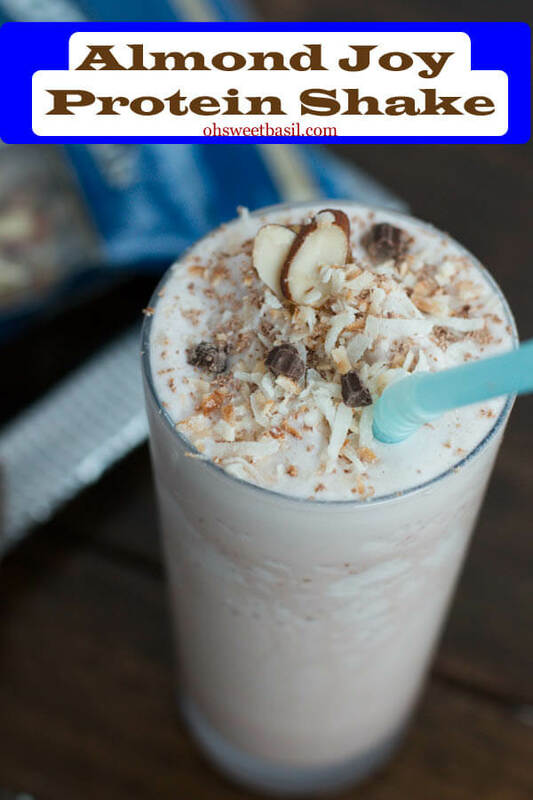 This recipe is 100% for all of you out there that are working so hard to make certain fitness goals. I’m still playing catch up from battling Hyperemesis last year which means that I’ve got weight to gain back (who says that after a pregnancy?) and a whole lot of muscle to bring back as so much atrophied from being so ill. 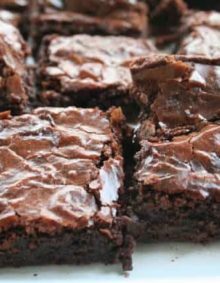 So I’m trying to do that and others are trying to lose weight or firm things up a bit so these healthy brownies, or healthier I should say, are for you, and me. Coconut oil contains natural saturated fats that increase the good HDL cholesterol in your body. They may also help turn the bad LDL cholesterol into a less harmful form. Ok they are even more for Cade than for me. I love a special treat on the weekend but Cade does even more. When he’s trying to be healthy he is really strict about getting in good foods and protein multiple times a day. 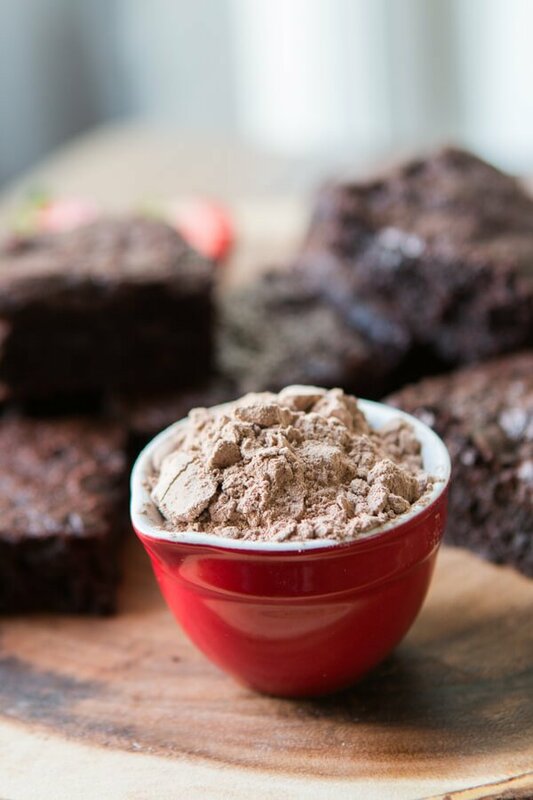 These brownies are the perfect way for him to get in a little dessert and protein is included. Which Coconut Oil Should You Use for Cooking? Unrefined coconut oil has a strong “coconutty” flavor and aroma, which is great to use in your recipes if you’re a fan of that profile. If not, go for the refined coconut oil, which is extremely neutral in both taste and aroma. 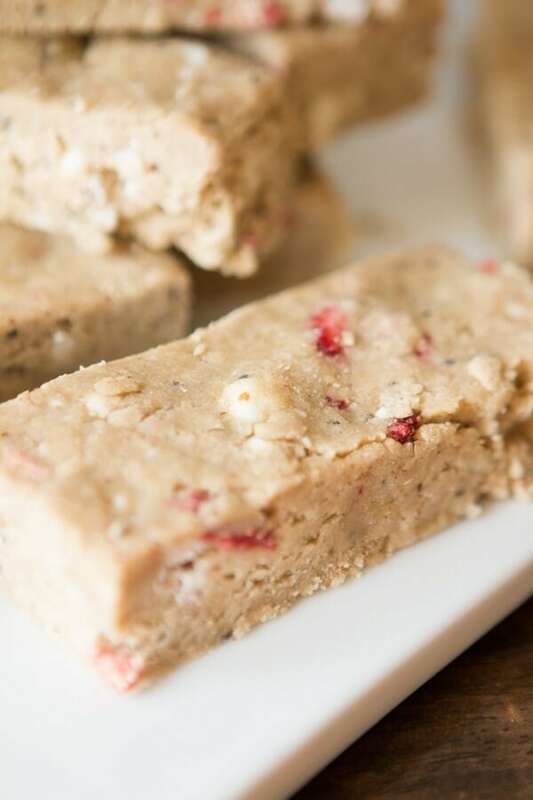 We got to use Burt’s Bees™ new protein shake powder and it was perfect in this recipe because it’s really silky and there isn’t any grit to it so it blended just like flour would but it’s a plant based protein powder so you get extra nutrition from it. We know that nature is incredibly resilient and we want that same strength and flexibility in our own lives. That’s why we use products that have some of nature’s most powerful ingredients to support our nutritional needs. Protein+ Daily was crafted with the right mix of plant-based protein and vitamins from real fruits and vegetables to give us a nutritional boost.Protein +Healthy Radiance is enhanced with whole fruits and vegetables and antioxidant Vitamins A, C and E for a healthy glow. 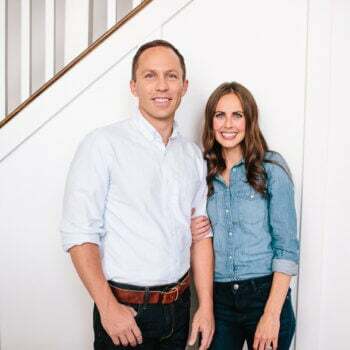 And Protein +Gut is enhanced with whole fruits and vegetables, prebiotics and probiotics to help encourage healthy bacteria in your gut to support digestive health. Pretty cool right? And we stuffed that into protein fudge brownies! 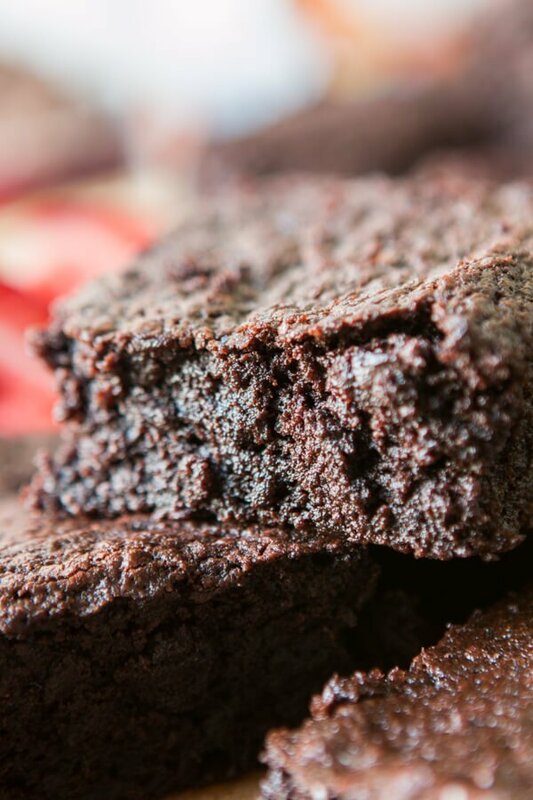 How do You Know When Brownies Are Done? The most often used technique is to stick a toothpick in the center right around the time your recipe says it should be done. If it comes out clean, it’s done. If there are any traces of uncooked batter, let it continue baking for another few minutes and repeat the process until the toothpick comes out clean. Start out by sifting your dry ingredients and beating together the coconut oil and sugars. Add the eggs and vanilla then finally the dry ingredients and you’ve got yourself brownie batter in 5 minutes flat. 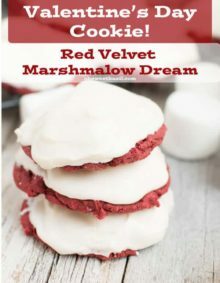 Bake them up for 40 minutes at a lower temperature so there’s time to cook through the protein powder and then serve warm or allow to cool for easier slicing! 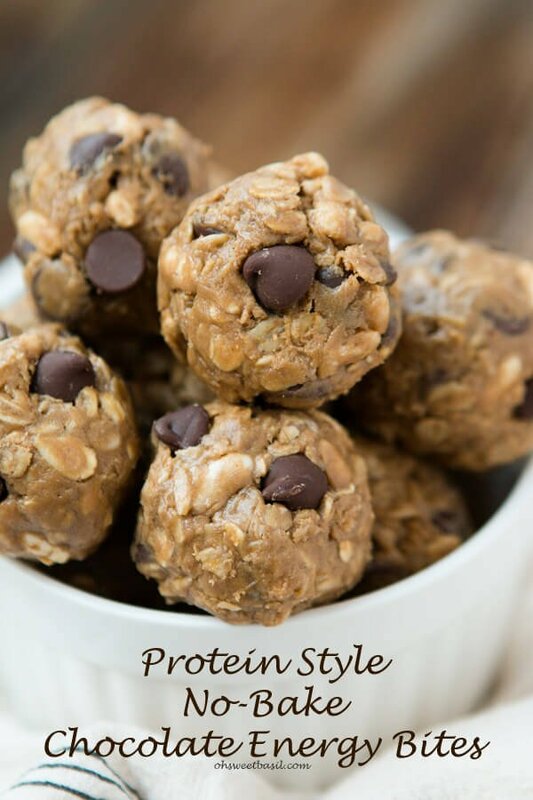 You can buy the protein HERE and try it out for yourself! Powdered sugar for garnish, if desired. 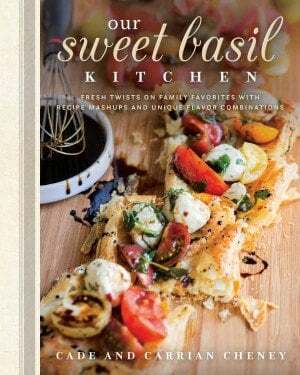 Preheat the oven to 300 degrees and line an 8″ baking dish with parchment. Spray the parchment paper with nonstick spray. In a bowl, sift the protein powder, cocoa, flour, baking powder and salt. In the bowl of a standing mixer with a whisk attachment, add the coconut oil and sugars. Add the eggs and vanilla and mix until just combined. Add the dry ingredients and mix again until just smooth. Pat the batter into the baking dish and bake for 40 minutes. 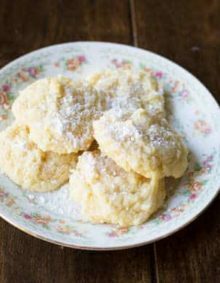 Serve with powdered sugar if desired. 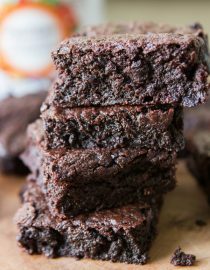 I’m curious as to which exact temperature I should bake my brownies because I tried the recipe and the flavor is AMAZING but they ended up a little in the dry side. The recipe only say the preheat temperature. Thanks Samantha! 300 degrees is the exact temperature, but every oven is a little different. Try baking for like 5 minutes less next time and check it to see if it’s done. Your oven might just run a little hotter. Glad you enjoyed them! Is there a substitute I can instead of eggs? 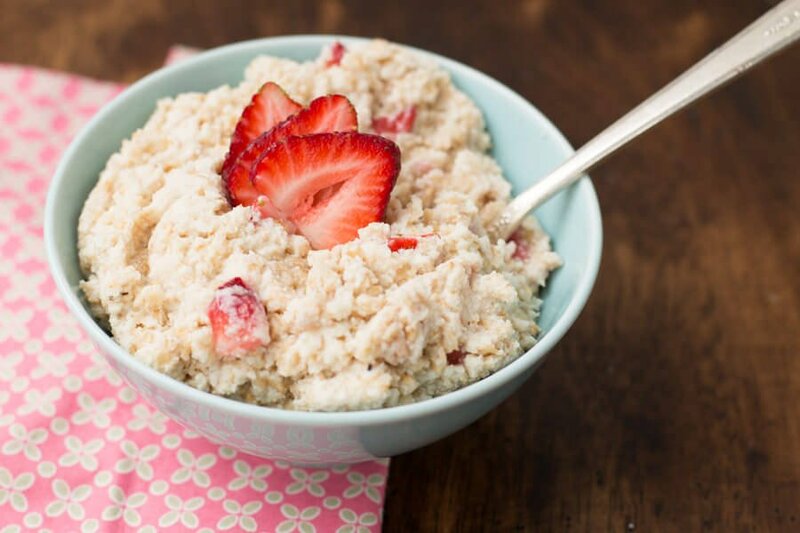 Applesauce can be used to replace eggs, but we’ve never tried it so we can’t promise the same results. The substitution is 1/4 c of applesauce for every egg. We would love to hear how it turns out!! Can you use a different protein? 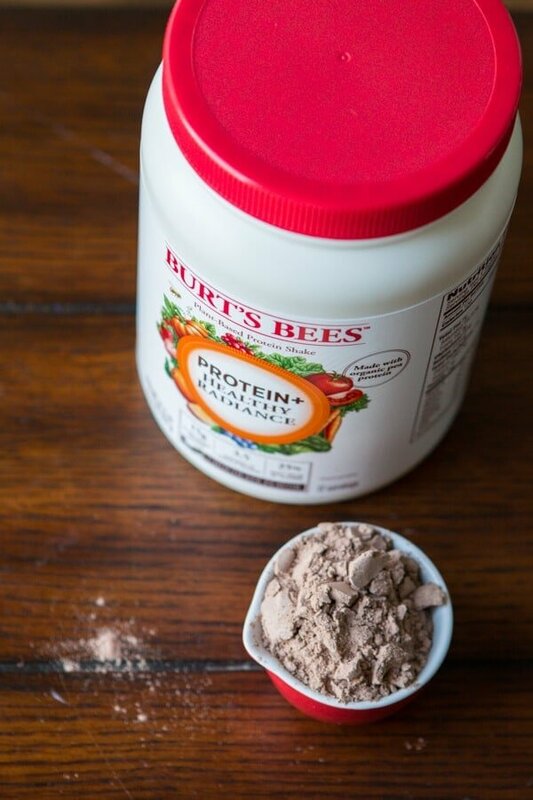 I recently saw that BUrt’s Bees came out with protein powder and I am soooo intrigued by this new development of theirs! Crazy right?! It’s so yummy too! 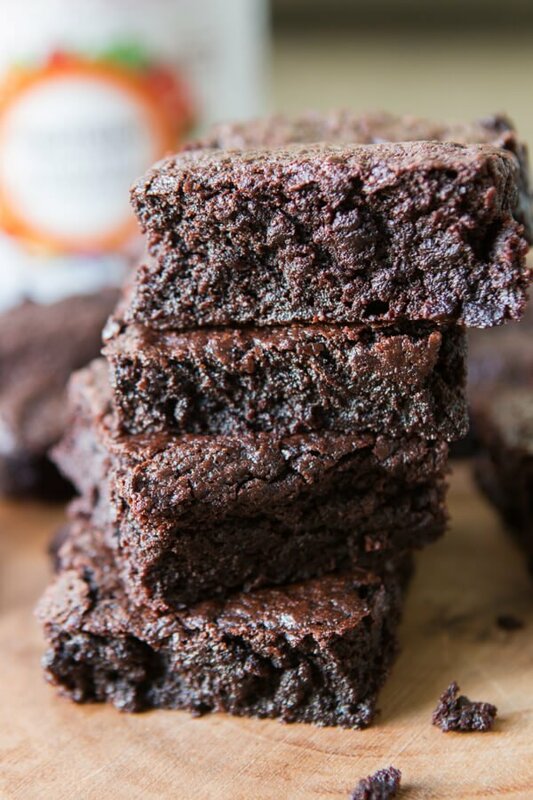 Oh the fudgy-ness and gooeyness of these brownies look UNREAL! So stoked that they are high in protein!